Google has finally launched the Wallet app, although service seems a more appropriate definition. You can pay and save using your mobile phone and near field communication (NFC). The first version of the app is released to Sprint only. That means Google is deploying Wallet to all Sprint Nexus S 4G phones through an over-the-air update. Matt Buchanan of Gizmodo has already given the service a try. Although it does not look so seamless as “tap’n’pay”, it could really be revolutionary. Think about all the countries where the usage of plastic money is not so popular, resulting with huge problems of transactions’ traceability. 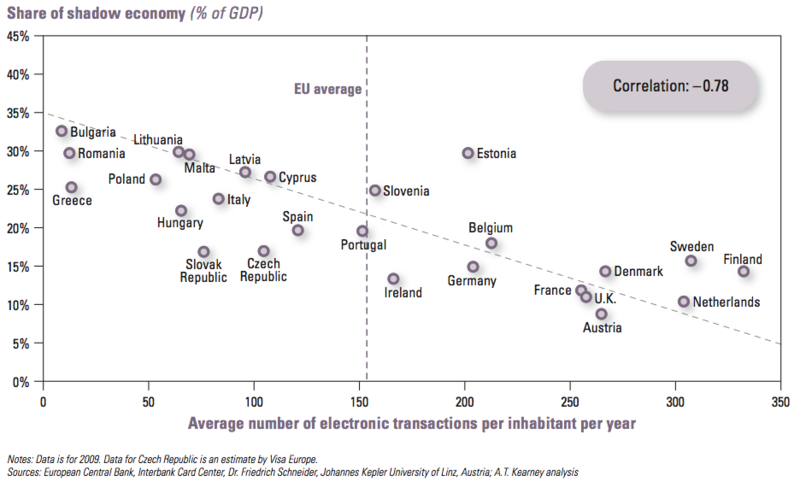 It is an established fact that countries with more electronic transactions have smaller shadow economies and, consequently, lower tax evasion rates. This is one of the key factors behind the current sovereign debt crisis affecting quite a bunch of european developed countries where, in a typical vicious circle scheme, more and more people are inclined to work outside the normal, legal framework as their country’s economy continues to struggle. From the consumer perspective, the most common excuse for not using debit/credit cards when making little payments is that it is not convenient or fast enough. Besides the fact that today it is more likely to forget at home the wallet rather than your mobile, paying with the smartphone introduces the speed factor in the transaction and, above all, it’s cool (i.e. fashionable = network effect). Don’t get me wrong. I am not saying that NFC will solve the Eurozone crisis: I am a nerd but not that much 😎 From that point of view it is going to be just a drop in the bucket, but it surely is a step in the right direction. In any case, we have some time to think about it: Google Wallet currently works only in the US on Nexus S 4G devices of the Sprint network. In the meantime, check out the official Google Wallet launch video.